Mauricio Pochettino hailed his side after Heung-min Son's 83rd-minute goal secured Tottenham Hotspur all three points. Newcastle United held strong at the back for the majority of the game but the Lilywhites finally found the breakthrough with a matter of minutes to go - again. The three points will see Spurs move up to second spot, leapfrogging Manchester City who plays Arsenal on Sunday. Heung-min Son and Fernando Llorente struck late in Wednesday's victory over Watford with both goals coming in the final 10 minutes. "We dominate the game and had control. We were very patient about the game. Newcastle were very organised, playing so deep and not giving us too much space but the positional game was good. "We created some chances in the first half, but in the moment you don't score and break this type of game, always it is going to be difficult in the second half because their belief increases," he said. Spurs were expecting to be without Son until their next game against Leicester City next Sunday but the north Londoners were gifted with his early return. "In the second half we conceded a few chances and this always happens on some counters and some action with counter attacks. "But the belief was fantastic and we tried to find a different way to play, with Fernando, trying to play more direct and in the end Sonny scored and the players deserve a lot of praise. "It was a fantastic effort with one day less to recover after Watford. Another massive effort from the squad, the team and I am more than pleased, more than happy, it's a fantastic result for us to be in a very good position in the table. Only I can feel very happy and proud," Pochettino added. Spurs back in the title race? The victory over Rafa Benitez's men saw the Magpies move up to second-spot with Manchester City playing on Sunday. "We don’t need to be in some position like today to convince ourselves about our capacity, our potential or possibility to win." 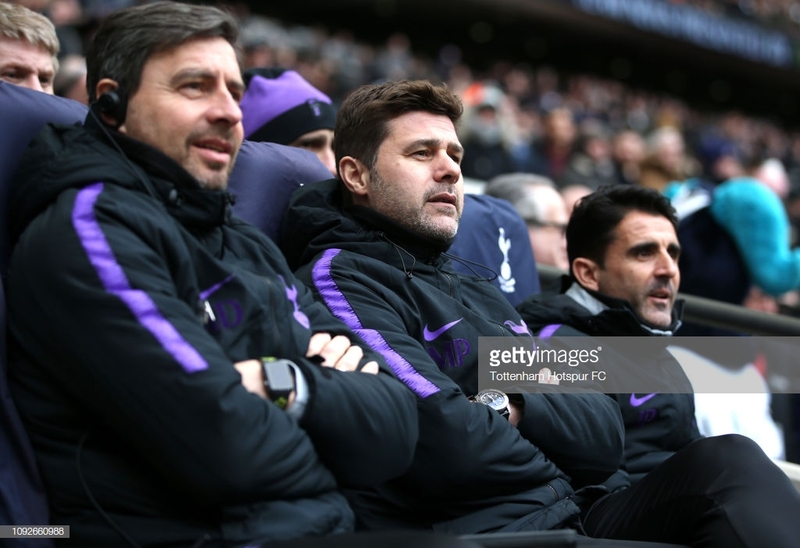 Spurs were dragged into the title race in late December but a crushing 3-1 defeat at home to Wolverhampton Wanderers quickly brought that to an end. "We always believe in ourselves. We are there because we believe in ourselves. Then it's if we are capable to fight until the end, to be close and fight until the end to go close to our opponent to be champions. "Today, we are there because we deserve to be there. We will see what happens in the future," the 46-year-old boss said. Heung-min Son has been a heavily missed absentee with Harry Kane and Dele Alli both out injured. "No, no. When we assess him, when I asked this guy [points to his assistant manager Jesus Perez] if he's fully recovered or not and the medical staff." With Fernando Llorente proving rather wasteful in the past few games it has been essential Son has returned to London in fine form. "The sports science team and all the data and assessment was very positive, a full recovery yesterday and that’s why he played, another player maybe didn't start or was on the bench," Poch stated.